At the EGM we were able to confirm that we now have control of all our accounts again, so business can resume as normal and a new office has been set up in Salisbury. Rachel will continue to concentrate on getting the database and insurance up to date, and look into new plastic membership cards, possibly with photo identity. Rachell also start to up-date the website and the constitution. 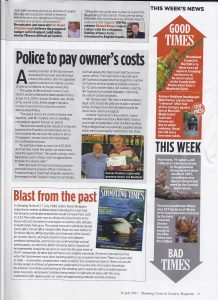 Savvas Toufexis and Joe Beatham will help members with their firearms enquires and Alan Westlake will continue with the Newsletter. 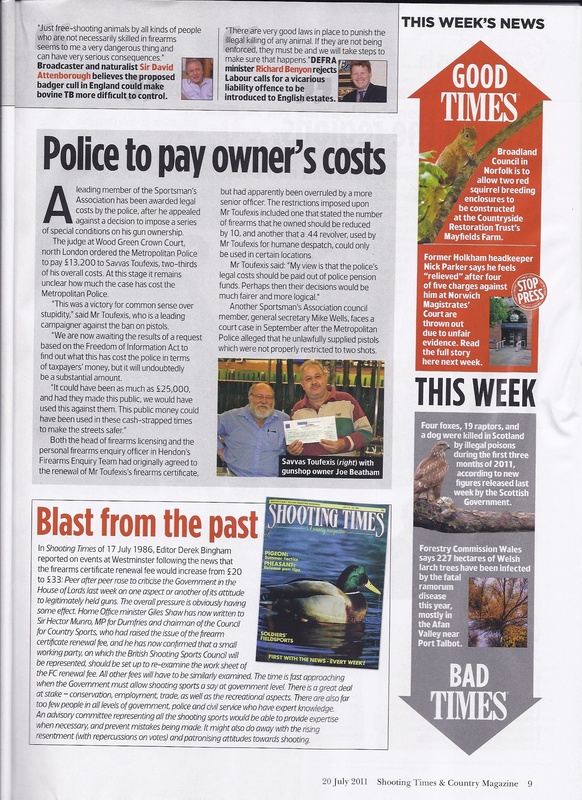 Savvas will continue to work with the BSSC on firearms legislation. Our AGM will be held on the Saturday of the Phoenix Meeting 25/5/2019. Venue and Time to be advised. Lastly, thank you to all who have expressed their sadness at Mike’s passing. Your kind words about his friendliness and helpfulness will be a great comfort to is family. After the sad passing of Mike Wells in May of this year we have set up a new office in Salisbury being run by Rachel Westlake. Please note the change in address and contact details. A consequence of Mike’s death was that the AGM which was scheduled during the Phoenix Meeting did not happen as we did not have access to Mike’s Office at that time. An EGM has been set for 20th October at the ATSC Clubhouse during the Trafalgar Meeting. Further notice will be sent by email or post in due course. Please will all members advise whether they will be attending, and will all members please make contact with me so that I can make sure we have your details correct on the database. Thank you to all those who have had kind words to say about Mike, I am sure his family will be comforted to know that so many of you thought so highly of him.